Pros : Tremendous power, good mileage, Stunning look, premium features. Cons : Low ground clearance, light weight. 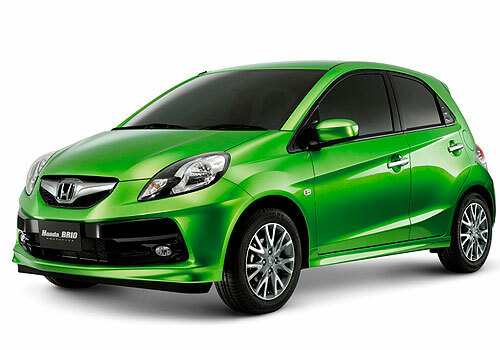 Hi Guys....this is Raman from Goa…sharing personal opinions about nice short (Honda Brio).....after visiting the Brio concept at the Auto Expo 10 in Delhi, I was fully inspired and after launching this year.....perhaps I was involved the first 1000 buyers of this small car. After getting full details about Brio such as its service interval of 6 month / 10,000 kms (at first 1000 kms free check up), a standard warranty 24 month / 40,000 kms, fuel economy 18.4 kmpl as per ARAI large fuel tank capacity of 35 liters and premium features...It's V MT (high-end) version was bought by me this year’s beginning and at present I am very happy with nice small car. There no problem in parts and features as well as engine. As said nobody can get the exact ARAI claimed mileage but I am fully satisfied my Brio's mileage of 13 kmpl in city and 17 kmpl on highway. Not only mileage is too good but also it’s stunning exterior, premium interior including dual tone are things to be proud owner of this small wonder. Smooth Tilt Steering and Power Windows make it electric. Meanwhile ABS with EBD is decent....Finally there are enough to say but overall...Honda has done well.